1. Zinia Jaman†, Tiago J. P. et al. 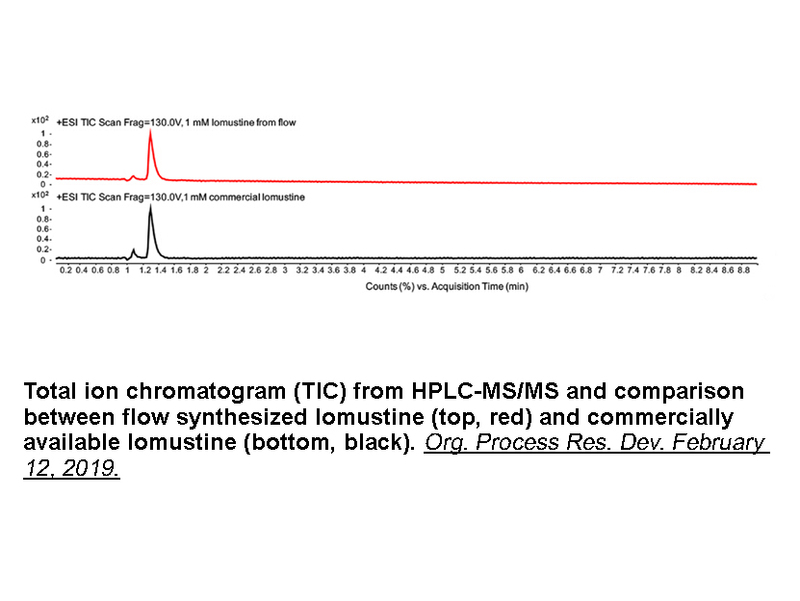 "Rapid On-Demand Synthesis of Lomustine under Continuous Flow Conditions."Org. Process Res. Dev. February 12, 2019. Cheng CJ, Fujimura S, Grunberger D, Weinstein IB. 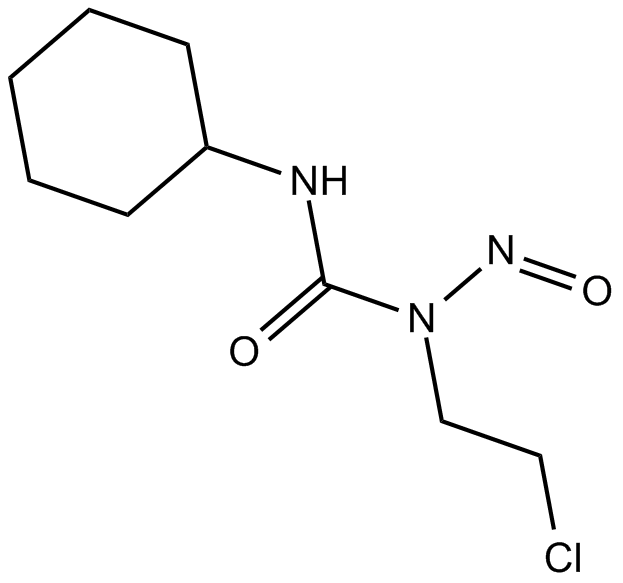 Interaction of 1-(2-chloroethyl)-3-cyclohexyl-1-nitrosourea (NSC 79037) with nucleic acids and proteins in vivo and in vitro. Cancer Res. 1972 Jan;32(1):22-7. Cheng CJ, Fujimura S, Grunberger D, Weinstein IB. nteraction of 1-(2-chloroethyl)-3-cyclohexyl-1-nitrosourea (NSC 79037) with nucleic acids and proteins in vivo and in vitro. Cancer Res. 1972 Jan;32(1):22-7. Baer JC1, Freeman AA, Newlands ES, Watson AJ, Rafferty JA, Margison GP. Depletion of O6-alkylguanine-DNA alkyltransferase correlates with potentiation of temozolomide and CCNU toxicity in human tumour cells.Br J Cancer. 1993 Jun; 67(6):1299-302.